RunningSwede : Running with Heart! As I have mentioned before, representing Skechers Performance Division is very rewarding to me. During this year's Boston Marathon, on my way home from the marathon expo, I happened to meet two other runners at the train station. We started talking about running and the Boston Marathon - and of course running shoes (my big passion!). The two runners I meet were Dr. Mark Haykowsky and Dwight Kroening. 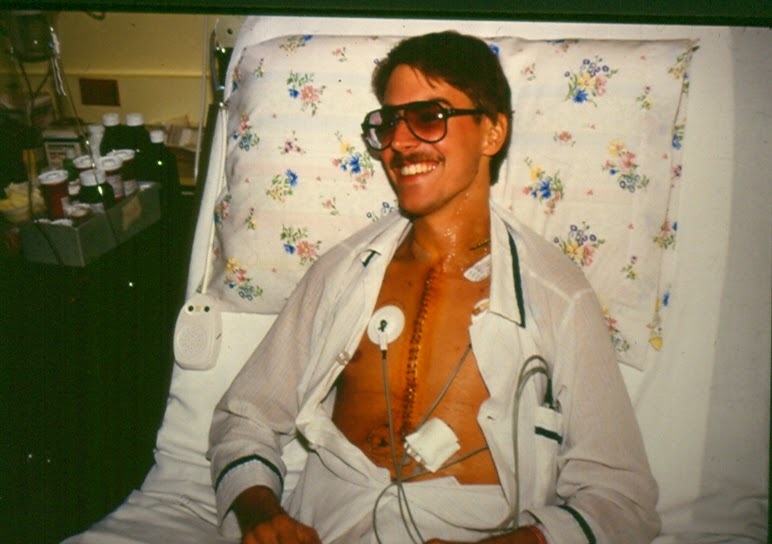 Dwight had a heart transplant 28 years ago, and Dr. Haykowsky has been doing research on Dwight. During the 2013 Boston Marathon, Dwight got stopped 5 blocks away from the finish line. He came back this year to to finish his marathon! When you think that running is tough on you, please read this story about what Dwight has endured and overcome. Truly amazing! 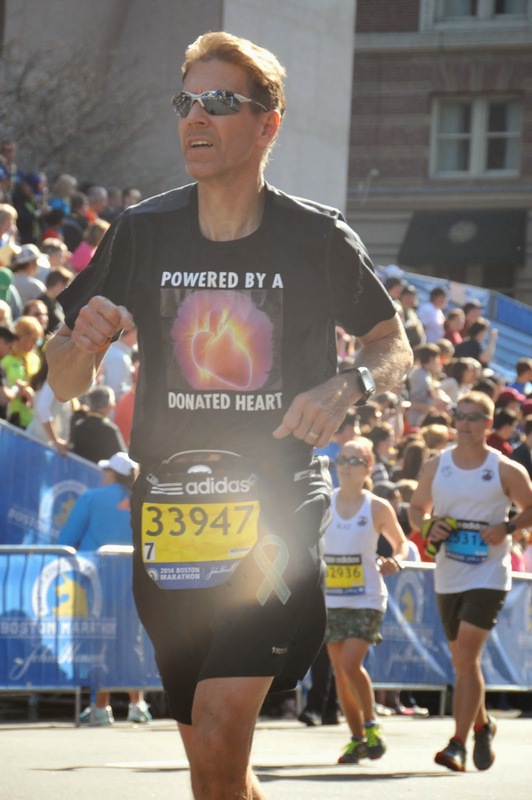 Dwight Kroening Running with Heart Story! I have been active throughout my life. When I was just a very small child my parents told me that I was very strong willed with a competitive and sometimes hostile temperament. Although my parents disciplined me, they did not break my spirit which has worked to my benefit, since my life over the past 28 yrs. has depended on the will to survive. Because I was shorter than my classmates and loved sports, I had to be faster, smarter, and naturally played with an edge. All this to the chagrin of my father, who preferred that I spend my after school hours practicing the violin. In some respects I still resent the fact that I wasn’t allowed to play High School sports but at the same time I appreciate music and being able to play an instrument. After graduating from High School I worked my way through College and University. 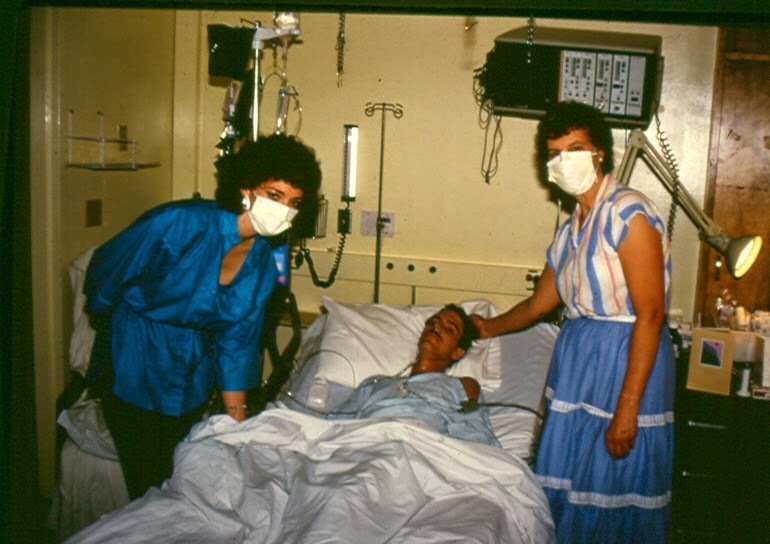 While in University out on the west coast of Canada I got sick with bronchitis.Unknown at the time, that seemingly innocent virus, almost killed me 3 yrs. later. When I returned to Edmonton Alberta Canada, I was accepted into the Education faculty of the University of Alberta, where I majored in Physical Education. In retrospect, over the three years it took me to finish my degree, I felt that my fitness levels were declining. As a result I applied my strong willed spirit to training harder and becoming more competitive. After my second year of University I married my dear wife, Colleen. If she had known what I was going to put her through over the next 30 yrs. of marriage I don’t think she would have married me. Life has never been dull for us. Just not the kind of excitement and memories you want to remember. Without her love and support I don’t think I would have had the will to live. After I graduated I taught school for a year and then, by only what I could describe as a miraculous chain of events, we ended up in Phoenix Arizona where Colleen took a position of branch manager for an investment firm and I found a teaching position. For the next year life was good although I noticed I was starting to fatigue quicker when playing sports and started getting intense migraines. By the end of the school year fatigue levels had gotten so bad that I couldn't climb a flight of stairs, could not stand for any period of time, basic personal care like brushing my teeth and combing my hair was exhausting and couldn't sleep laying down without suffocating. Forced to see the doctor I was diagnosed with heart failure and immediately admitted to the hospital where two cardiologists assessed me with terminal heart failure giving me less than a year to live. Guess the innocent virus 3 yrs. earlier was not so innocent as it had attacked the heart and destroyed it. Although tentative, due to the uncertainty and experimental nature of transplantation, the cardiologists suggested that I visit the Heart Transplant clinic in Tucson. After some discussion, thought and prayer we agreed to the transplant, leaving the details of money, candidacy and provision of a heart, to God. Everything came together in a way that could not be explained away as coincidence. The entire cost ($200K +) was covered by insurance which, if I had been assessed, 6 months earlier would not have been covered. I was a prime candidate. And 2 days short of the 2 months I was given to live a heart (perfect match) was donated. Within 3 months of the transplant I was running 3 miles, riding 12 miles, and swimming a ½ mile a day. Nine months later Colleen was pregnant with the first post-transplant baby and we moved back to Edmonton where I continued my teaching career and eventually left teaching to become a project manager with a software development company. 28 yrs. later we have 3 healthy boys ages 26, 21 and 19. 10 yrs. ago I was fortunate enough to be involved in a research study on Exercise and the Transplanted heart after which I was tested as the fittest heart transplant on record. Over the past 10 yrs. I have been training under the supervision and direction of Dr. Mark Haykowsky who continues to do research on me, and my coach Dr. Ken Riess. 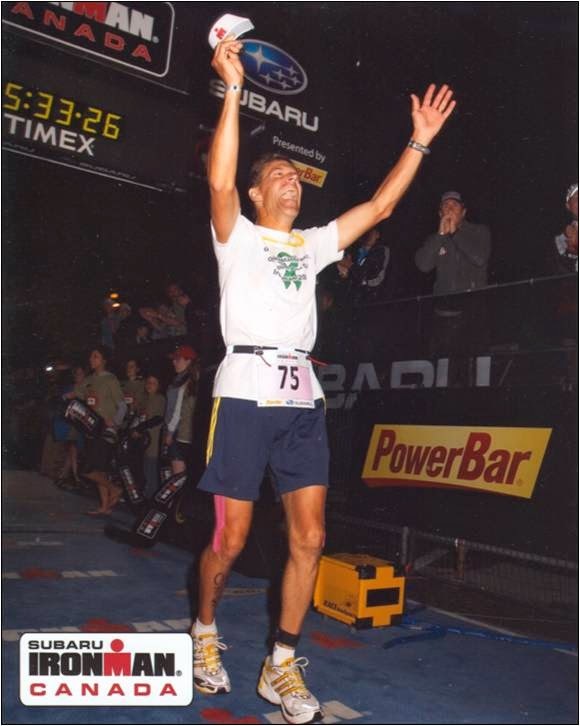 I have since run multiple marathons and triathlons, including the Canada Ironman in 2008. I am one of the longest surviving heart transplant recipients and an advocate of organ donation. Just recently I ran my first Spartan race. It was great fun and very encouraging to know that I could not only do it but could run at a competitive level. My coach (Dr. Ken Riess) once told me that running a race is 60% training and 40% heart. I expect that depending on who you are and the personal challenges you face, those percentages may vary. The fact that I run, and have been living for the past 28 yrs., with another man’s heart powering my body has required certain training adjustments, close monitoring, and the involvement of many professionals in the healthcare industry. I think that my biggest challenge I face when it comes to training for and running marathons and triathlons is figuring out what issues are transplant physiology related and what issues are common to all runners. There is no question that regardless of what I do and no matter how hard I try to make myself believe that I am as physically capable as a person with a native heart, the physiology of a transplanted heart and the long term effects of medications create a ceiling that is lower than that of a person with a native heart and one that I am simply unable, outside of miraculous intervention, to break through. After the transplant I immediately started running, swimming and biking. 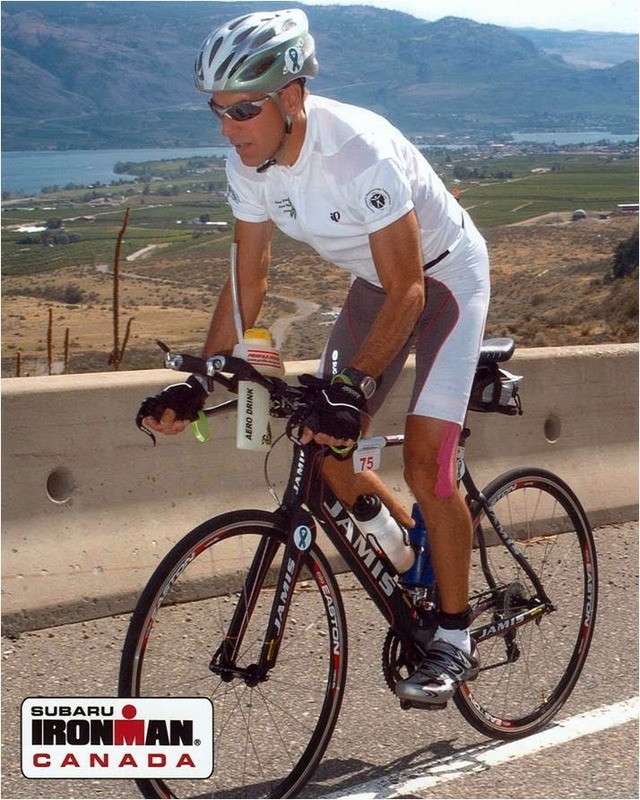 Within the first 3 months post-transplant I was biking 12 miles, running 3 miles and swimming a ½ mile per day. When I returned to Phoenix from Tucson, where I had the transplant, When I started playing sports again (e.g. basketball, football) I found that my fitness levels, so it seemed, were seriously limited. I simply wasn’t able to play sports that required anaerobic fitness. When I told the transplant team that there was something desperately wrong with the heart and that they told me I would be able to do the same activities I did before the transplant, something must be broken. Their response was that what I was experiencing was natural and that I would NEVER be able to do anaerobic activity again because the heart was disconnected from the nervous system which meant that heart rate could not pick up on demand. To accommodate I would have to give the heart time to warm up before doing any sort of exercise. Although, miraculously, there has been some re-innervation (picks up and returns to resting like a native heart) there is still a delay which requires me to start a run slow and speed up only as the heart rate starts to increase. Not so bad as this is best practice for any runner to warm up the muscles in order to prevent injury. There has been much research done on me thanks to Dr. Mark Haykowsky. Through Dr. Haykowsky’s exercise study on the Effects of Exercise on the Transplanted Heart, I am confident that the heart can handle the strain of intense exercise. I owe a great deal to Mark because it is through his research that I have been provided with many opportunities to share my story and participate in race events that I would not have been able to without his support. It has been an amazing journey. One very practical thing that has helped with developing training plans and given me a peace of mind is the VO2 testing that Mark and Ken run me through on a regular basis. 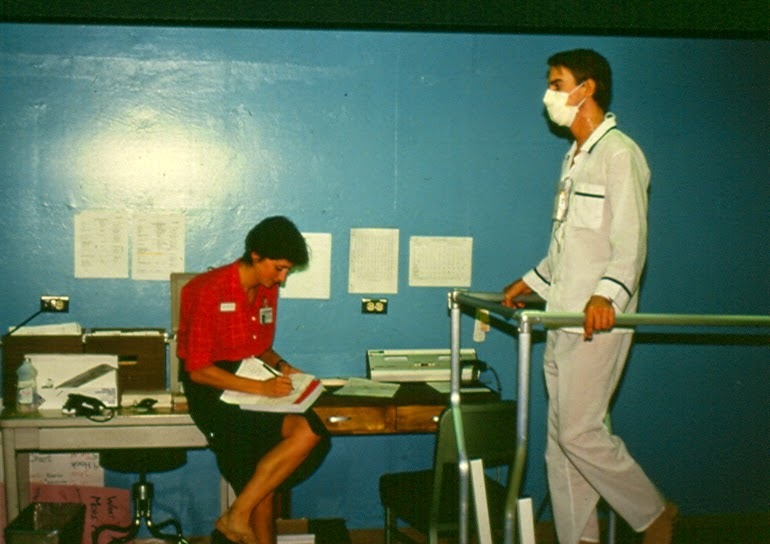 When I start training for a major event a VO2 test is performed for a baseline and starting point. Training plans are then developed specific to that baseline then just prior to the event another VO2 test is done which is compared to the initial baseline. Dr. Haykowsky then uses those results for his research and Dr. Riess uses the results as data for future training. In 2013 I ran all but 5 blocks of the Boston Marathon. In 2014 I returned and was able to complete the run. The biggest challenge was the last 6 miles when I became quite fatigued. It was quite frustrating and encouraging. I had planned and trained for better. Despite the kilometers I had put on, the distance training I had done in preparation, the nutrition and water I had taken in, I hit A Wall. Maybe not The Wall but a wall non-the-less. My legs felt fine and I felt like I should have energy but as soon as I started running I was dead. It was like my heart was telling me “I've had enough” and wasn't going to put out any more. At 22 km I had a feeling that I was in trouble when I ate a nutrition bar. As soon as I started running I was fatigued. I struggled the rest of the race pushing through with mind over matter. I came to recognize and appreciate the value of pushing through the tough training sessions when everything in me was screaming to stop and walk. After the Boston 2014 I was discouraged to the point that I was considering never running again. As coach Ken and I analyzed the situation we determined that when training, I was taking incremental breaks (e.g. 2-3 minutes) during a long run to stretch and recover. With these incremental breaks it seemed that the fatigue factor was less and I was still able to achieve acceptable times. As a result we decided that we would intentionally interject rest periods into my long runs and intersperse hard and, ENFORCED, easy runs during the week. We said enforced for the easy runs since I, if you are like me, tend to want to run hard every time I am out. We don’t know if this is going to solve the issue but worth a try. The important thing is to keep looking for answers and never give up because quitting is more detrimental to my health and well being than the pain experienced from training and racing. My personal experience has been that what my mindset is, is more important than the training. Never giving up on the faith and hope that despite a day, a week or a month of difficult times, tomorrow will be better than today. As I mentioned, there have been many medical professionals that have contributed to keeping me alive and healthy over the past 28 yrs. Of 104,000 Heart Transplants done since 1984, 99 have survived 25 yrs. 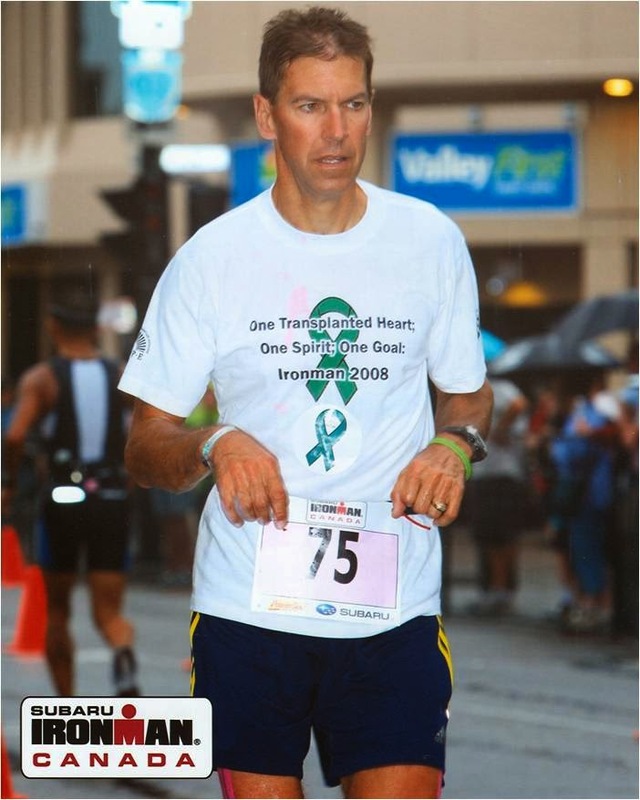 Of those 99 I have been documented as the fittest Heart Transplant that has lived to-date and the first to complete an Ironman. 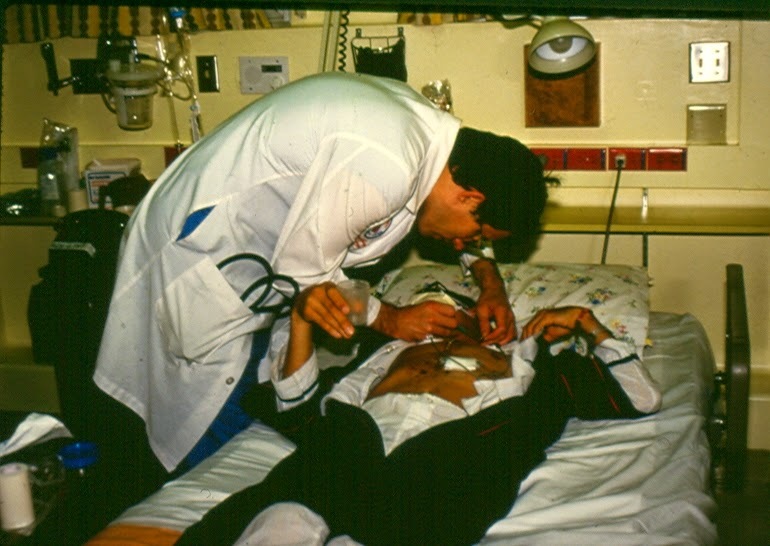 Without the help of people like Dr. Mark Haykowsky who has helped me see what is possible through his research, the UofA Heart Transplant team that has patiently worked with me in balancing meds, the various transplant awareness organizations that promote organ donations, the donor and donor family that gave me the gift of life and my God, I am forever grateful. Currently I am training for a couple more races this summer. A 15K on Canada Day (July 1), a Olympic distance tri in July, and the Edmonton Marathon in August. If the new Training regimen is successful I am hoping to beat the 4hr. mark for the Edmonton Marathon and more importantly beat Dr. Haykowsky who is also running the Edmonton Marathon. I have to say that I am really proud of Dr. Haykowsky. It took a number of years to get him to start exercising let alone run his first marathon (Vancouver Marathon) a few years back and now he has run Boston and running the Edmonton Marathon. But, it really bugs me when he beats me in a race. Just recently Mark and I ran the Transplant Trot 10Km. My time was 53 min. I think Mark ran it in 45 minutes. Get into the Fartlek with Salming!